Immediately know when your elderly loved ones are in trouble, 24/7. Senior Safety App is a FREE, unobtrusive app built to keep seniors safe. 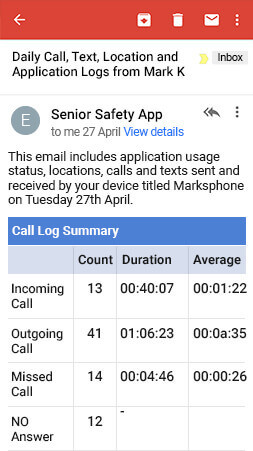 Senior Safety App remotely monitors phone location and is used to protect against falls, wandering, online scams & abuse around the clock. Senior Safety App is built on a platform used by hundreds of thousands of users, across 97 countries, to keep their loved ones safe. Senior Safety App is recommended by health professionals worldwide. 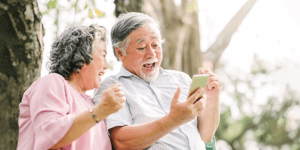 More and more seniors are using smartphones to stay in touch with their family and connect with the world. 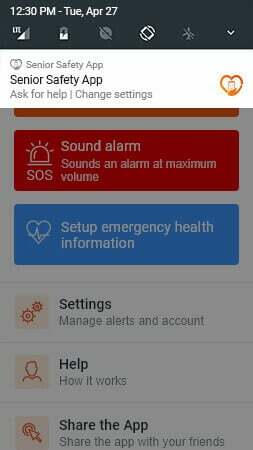 Install for free from the Google Play Store and Senior Safety App can be configured in seconds, enabling caregivers to monitor alerts, reports, and location remotely using their phones or computers. 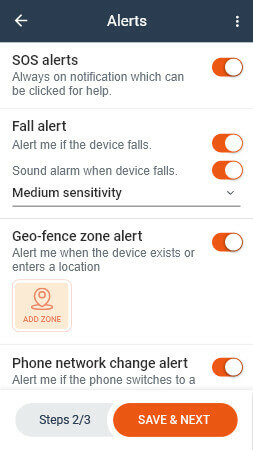 When Senior Safety App is active you will receive alerts for emergency help requests, phone falling, phone being inactive for a long time, app installs or uninstalls, entry/exit from geo-locations (buildings, streets, cities or neighborhoods), network changes (sim card change), low battery alerts. New features are being added all the time. With the SOS feature, seniors can quickly request help when they need it. Clicking this option sends text-alerts to multiple people, notifying them of the phone’s current location. A round robin call option keeps calling all emergency contacts one after another until connected. 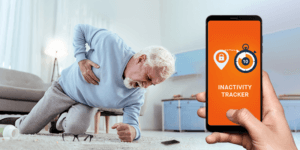 This feature uses the phone’s built-in motion sensors to track movement, and automatically sends out alerts in case of a fall, sudden jerk or incapacitation. Adjust sensitivity of the fall tracker to match the user's lifestyle. Keep sufferers of dementia from wandering away from home with the Zone Alert. Configure a custom geo-fence (like a home, Neighborhood, or town) and receive an alert when the device leaves or enters that area. Receive alerts when the phone has been immobile for an extended period of time which can be customized based on individual lifestyle. These inactivity alerts are an essential feature for seniors who live alone. 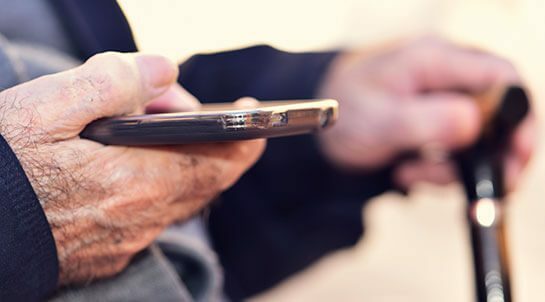 For many seniors, their phone is the only contact with the outside world. Thus, keeping it charged is essential. Configure when you want to get alerts based on battery availability. Receive regular reports on app-usage, and help protect your loved ones from online scams and phone abuse. The Senior Safety App is one of the most effective safety apps designed for seniors on the market today. 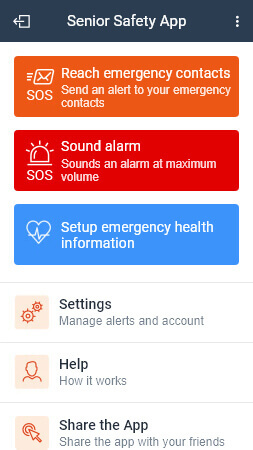 SOS emergency contacts, emergency alarm and secure health information collection are free. Other features come with a monthly or annual subscription with 20% savings on the annual. Senior Safety App has received excellence rewards from many media houses and app review sites. 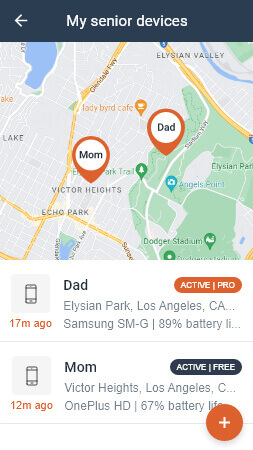 The app was designed on the popular Easy logger platform which is being used by over a million users worldwide to track employees, vehicles, spouses, kids, and more. All subscriptions come with guided installation. Email us at [email protected] for questions. My work involves travel and I have to leave my mother, who has been treated for schizophrenia, alone. Not a replacement for my presence, but the geo fence alerts that I get when she exits and then enters the home area is comforting. I thought the SMS/calls log was intrusive till I saw incessant calls and messages from a dead-beat relative asking my mother for money. I put an end to that immediately. Thanks! My nana likes to take her dog out for walks at night. Once she slipped and the fall alert was activated that I received and responded to. No major damage, thankfully, but getting that alert was useful. My parents come over from Vietnam every year and love going for long walks in the neighbourhood. Their English skills are very limited and once they got lost and called me. The GPS location on this app was bang on and I just drove over and picked them up. Used this app when my parents- who are in their 70s- decided to go on a road trip. I could track their whole drive and pit-stops accurately. The low battery alerts that I got was helpful in that I could remind them to charge their phone so that I can see where they were at all times. I was right to be concerned when I got inactivity alert for my dad's phone. Turns out he had left his phone in the supermarket which we traced using the app. I like the feature that calls all emergency contacts one by one, if the previous one does not respond. This way if my folks are facing an emergency, one of the pre-fed contacts is sure to respond.